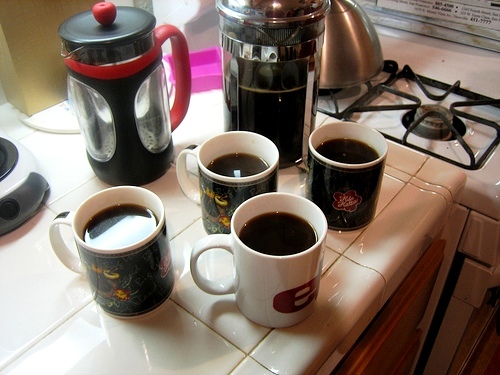 For coffee lovers, traveling doesn’t mean parting with your daily dose. If you’re anything like me, you need a strong hit of coffee to start the day right. Downing a double espresso in Rome might do the trick pronto, but there are times when you need to brew your own to make it through the day. Here are some of the best — and worst — travel coffee products we’ve seen. The single stove-top espresso machine is certainly the gourmet choice, but the weight! Believe it or not, I carried a double mocha pot through my first seven countries of international travel…using it about ten times in two months. 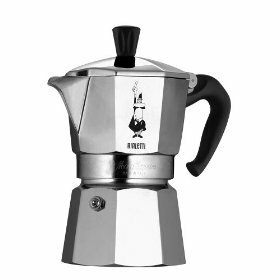 A Bialetti has style, grace and screams you’re a coffee aficionado, but walk your first couple of miles and see if your shoulders scream louder. 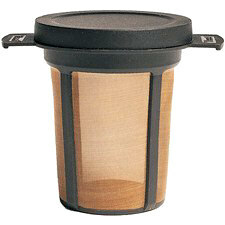 Lightweight and easy to clean, the MSR MugMate Coffee Filter is fine for those after a quick filter coffee hit. Place the mesh framing into your cup, spoon in some ground coffee then pour boiling water over the top. It’s quick and easy. The only downside is that you need your own mug! The GSI H2JO! 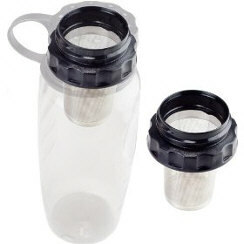 Water Bottle Coffee Maker has a similar style but comes with a lighter build. This thin plastic is going to save you on weight, but you might end up burning your fingertips while on a train or other form of transportation. 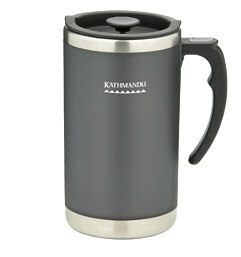 The Kathmandu coffee plunger/cup is my pick of the bunch, combining efficiency with weight and ease of use. It’s a great combination of french press and insulated travel mug. Spoon ground beans into the bottom of the mug then add boiling water. Allow it to sit for a few minutes before adding the cap and plunging away. Similar in function, and handier for American buyers, the Pacific Cornetta Thunder Press Mug also finds a balance between weight and good taste…and just sounds awesome! The Thunder Press reminds me of Saturday morning cartoons, late night at the speedway, and ice creams around the world. It is similar in function to the Kathmandu and REI mugs, will easily fit in a car’s coffee holder, and has the funkiest name of all. 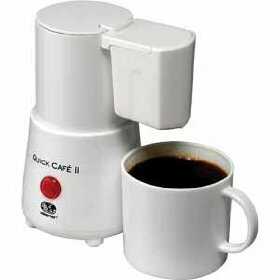 Moving into the slightly ridiculous, the Quick Cafe II Travel Coffee Maker claims “it is easy to make cafe style coffee with the Quick Cafe II Travel Coffee Maker.” It might be easy to make coffee, but it’s not easy to lug around in one’s pack! Travel? Sure, travel from the hotel room to the lobby! This is one piece of plastic that should stay on the production line. We still want to offer a way for the space or weight conscious to get your caffeine hits…and this is the best we can do. 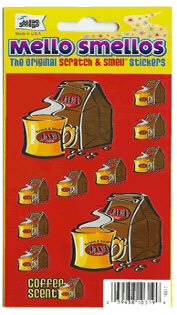 The Mello Smello scratch and sniff stickers can be stuck inside your journal cover and supply you with an unending supply of java scents — just enough to get you to a cafe. Just want something to carry your coffee in? Fancy a little individual style? 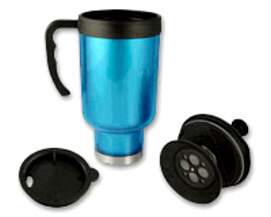 Cafepress allows you to upload your own images to adorn the travel mug of your dreams. You can’t make coffee with it, but you can certainly carry it in style. You can even buy gear to support sites you love — like Matador’s own ceramic beauties.